Connecticut 2-1-1 Child Care is a free, confidential, and statewide service which helps match the requests of parents and child care providers with programs. Available Monday – Friday from 8 am to 5 pm. 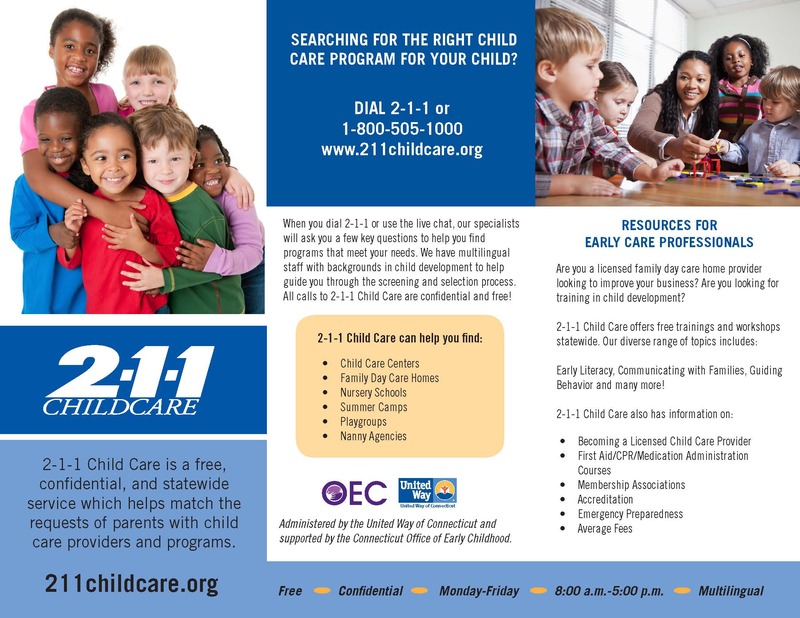 Dial 211 or 1-800-505-100 or go to www.211childcare.org. What Are The Most Common Types of Accreditation?